I had a rough start with my Pu-erh journey. 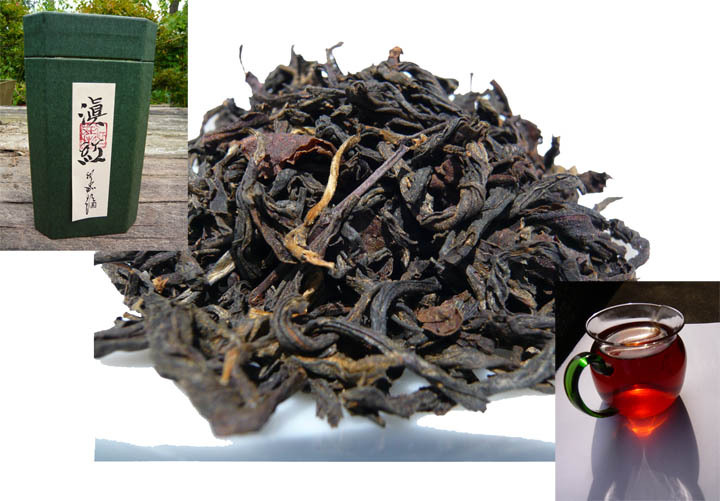 I have finally determined it wasn’t necessarily that I wasn’t a Pu-erh Fan, per say, it’s more like I am a bit more finicky with my pu-erh personal tastes, I guess you could say. This was a Lighter Brown in color and the aroma isn’t as wormy/fishy as most pu-erhs and I am very happy about that! The taste is VERY velvety and smooth and lighter tasting with slightly earthy yet honey and cocoa type flavors mixed in. 1st infusion rating based on personal tastes 95 – I really liked the taste of this one on the first infusion. I found it to be much darker in color and a bit more earthy/wormy in aroma but the taste is a hint sweeter and still quite velvety and smooth. I would say 90 or more for rating on this one…based on my personal tastes. I’d hated to give up on this one because I KNEW this would be good for more than 3 infusions! It wasn’t slowing down anytime soon! This infusion was even darker than the first two! It smelled earthy but not wormy at all. It was a bit sweeter than the last infusion but there is a ricey-type taste hiding underneath this time. It’s interesting…the aftertaste is a little nutty but malty and more black tea/bold tasting. Personal rating on this infusion about an 88-89 – still quite good! This infusion is just as dark as the 3rd infusion…it smells like black tea with a hay-like aroma as well with a more woodsy-taste as well as being more malty. I thought it was less sweet but still velvety. I would still say upper 80’s even with it being the 4th infusion! 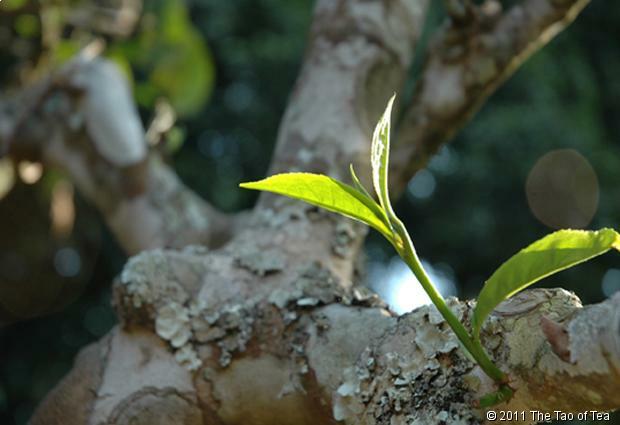 This is a very Sturdy Tuocha from The Tao of Tea! 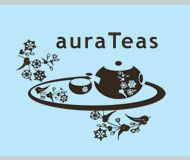 Tao of Tea put a lot of thought in their Pu-erhs! The quality is good and they have been known to break Pu-erh stereotypes – at least in my book they have! 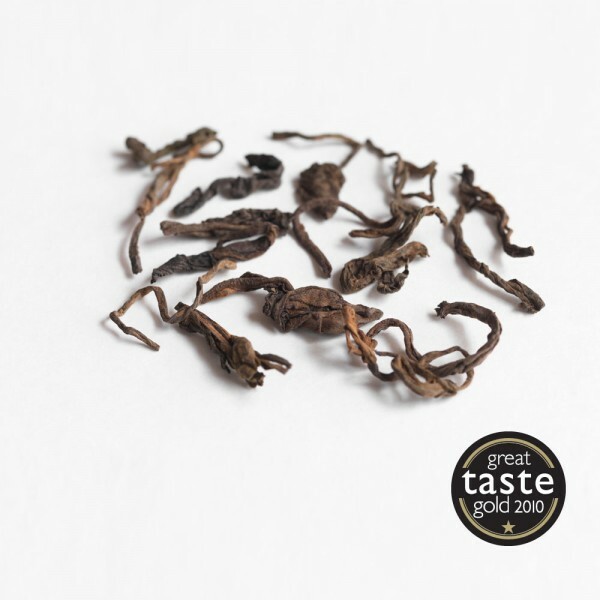 If you have had some trials and tribulations with Pu-erhs in the past…give it another try and sample some of Tao of Tea’s Pu-erhs! Experiment with them! You just may find the right ones that will work for you! An excellent loose cooked puerh made by a small artisan producer on China’s Yunnan/Vietnam border. The large twisted leaves are bright golden brown and release a clean, satisfying liquor with a good balance of wood and fruit notes. This is an incredibly smooth Puerh! There is a strong earthy undertone to this tea, but it doesn’t smell as strong as it tastes, which is the opposite from my past Puerh tasting experiences. Usually, the smell is much more earthy than the taste. As I continue to taste, a very pleasant sweetness presents itself. 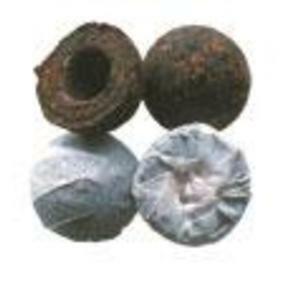 It is caramel-like in flavor, and is harmonious with the earthy flavor. I also taste oak and apple. This puerh has a lot of complexity, and isn’t as heavy in taste as I thought it would be, although the liquor is quite thick to the palate and reminds me a bit of the mouthfeel I’d experience with a green Oolong. 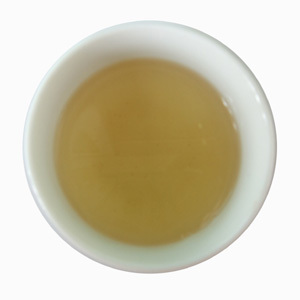 There are even buttery notes to this – browned butter – although it lacks the vegetative taste of a green Oolong. This is a really enjoyable Puerh. I do think my palate has finally developed a taste for this stuff! Puerh is still not something I’d imagine myself wanting to sip on a daily basis, but I do quite enjoy it on occasion.